"I'd like to share a few heartfelt words. They stem from a conversation I had with a friend from across the Atlantic in which he made a statement that perfectly sums up our current situation. "The problem with the French is that they simply do not realize what incredible treasures they have in their hands. They seem to value only the breeds that come from outside their borders and overlook the fact that the most beautiful breeds of pointing dogs were created right there, in France. And today, it looks like they are letting their native breeds wither on the vine." The statement didn’t come from a club, or from a professional trainer or breeder, but from a person who is passionate about dogs. It is a statement that comes from outside our borders, from a different point of view. Are we so blind that we cannot see the canine treasures we've created? Are we so blind that we dismiss the precious natural hunting abilities of our old breeds; abilities that were honed into precious instruments by master craftsmen, created to strike a perfect balance between hunting skill and passion for game? Are we so blind that we will let this unique heritage disappear from our country or see it find a new home elsewhere or even disappear? Our old breeds belong to us, they are a vital part of us. They are a key to our collective memory as hunters. They harken back to the days when we took to the field at first light to hunt quail and partridge. They are reminders of a bygone era when speed wasn't the most important thing and when hunting still meant something, when hunters valued and praised the qualities of dogs from their own "terroir". Why are we letting these cultural treasures fade from our memories? Why are we turning our backs on these quintessentially French creations? Is there really any pleasure in recreating a once-extinct race just to stroke one’s ego or to feel like the master of a breed? Can't we do better than just keeping these "treasures” barely hanging on? Today everyone believes that we have all the answers. But the only real answer lies in the use of our breeds. They are no better or worse than other breeds, but they are perfectly adapted to our way of hunting. There is enormous pleasure to be had in hunting with our old breeds and appreciating the style, skill and passion of each dog as an individual. Some hunters are even lucky enough to see their favourite breed continue to develop in the same environment and region for which it was created. So why do we sacrifice these treasures on the altar of the “always faster, always further” or to the latest fashion of the day? Is it really that important to know whose dog is the best, the most beautiful, the most. .... ? Isn't it more important to know where we came from, and where we are going? Our beautiful breeds are falling victim to narrow-mindedness, commercialization and the pursuit of money. When I read articles written by pseudo-journalists my heart aches seeing their half-truths in print. Instead of an 'I saw it with my own two eyes' approach to the subject, they are settle for ‘so I've been told’. Where are all the good-hearted people who put their dogs ahead of their own egos? Where are all the dedicated hunters and honest breeders who can help our treasures return to their rightful place in the Bourbonnais countryside, mountains of Ariège and Francilienne forests ? Are our old breeds destined to remain hidden away, known only to a handful of insiders with personal agendas, or worse, condemned to fade away? Can we not celebrate them and share them with the rest of the world, like we have with our French wine, cuisine and technical know-how? Dog breeding is now highly regulated and increasingly expensive and difficult. But must we sacrifice our old breeds on the altar of profitability? Or do we finally declare them as an essential part of our heritage, just as they were for our fathers and grandfathers? When I read Xavier's words, I realized that it was probably the first time he'd heard someone from outside of France share their thoughts on the precarious state of some of the French breeds. And that inspired me to think about possible solutions to the problems in France, problems that are also seen in other countries. First of all, it is important to understand that the French have been struggling to come to terms with their heritage as dog breeders for a long time. For over 5 centuries French hunters in various regions bred dogs that were perfectly adapted to the local conditions. Some of those dogs made their way to other countries and became the root stock of other pointing breeds. Then, in the early 1800s, a sort of "British Invasion" occurred in France as newly-imported Pointers and setters captured the hearts of the majority of French hunters. As a result, some of the old French breeds died out. Others managed to hang on by the skin of their teeth. 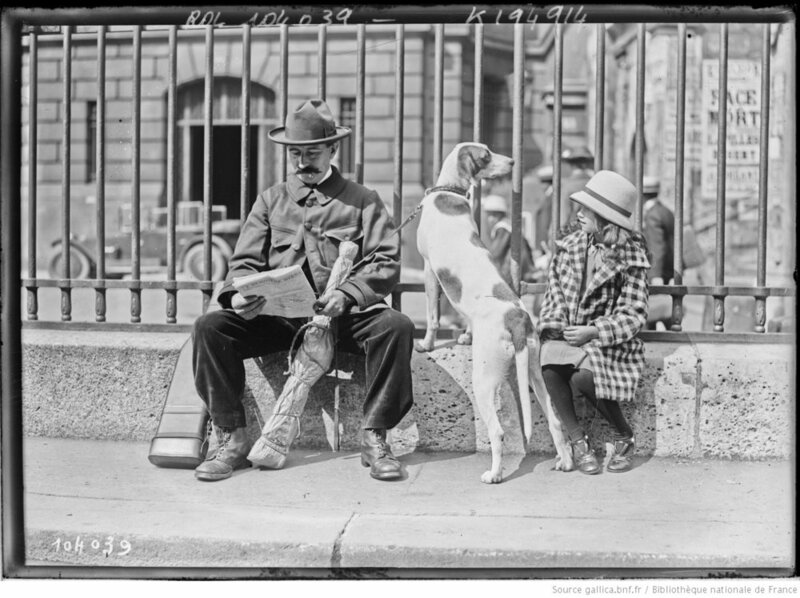 I wrote about that period of pointing dog history here. Today, the French are still drawn to breeds from outside their own borders. The number one pointing breed in France is now the English Setter. And yes, one native French breed, the Épagneul Breton (Brittany) is still in very good shape, but breeders of the Pont-Audemer Spaniel, Braque Saint Germain and Braque de l'Ariège, struggle to produce even a few dozen pups per year. But the French are not alone. The English also show keen interest for foreign pointing breeds and they too have more or less abandoned their native setters and Pointer. In fact, the English Setter, so wildly popular in many countries on the continent, was declared a 'vulnerable native breed' by Britain’s Kennel Club. The Gordon Setter, Irish Red and White Setter are also on the list. Meanwhile 2000 Weimaraners, 1500 GSPs and nearly 20 thousand Cocker Spaniels are registered in England every year. And the trend is not a recent one. In the late 1500s Dr. Johannes Caius, wrote that: … we Englishmen are marvellous greedy gaping gluttons after novelties and covetous cormorants of things that be seldom, rare, strange and hard to get. In the US the most popular breeds are all foreign. The Labrador, German Shepherd and Golden Retriever occupy the top 3 spots among all breeds and the GSP is number one among the pointing breeds. In Italy, the situation is similar. The English setter is the second most popular of all breeds, just behind the German shepherd. In fact up to twenty thousand English Setters are registered in Italy each year, more than all other pointing breeds combined! The Italians also produce an annual average of nearly 3000 Pointers and several hundred Irish and Gordon Setters. Unlike the French and English however, the Italians haven't completely turned their backs on their native pointing dogs. They register about 750 Bracchi Italiani and 550 Spinoni every year. Germany on the other hand is a sort of outlier. Not only do the Germans breed fewer dogs, per capita than many other countries, but when it comes to pointing dogs, they seem to prefer their own national breeds. The most popular pointing breed among German hunters is the Deutsch Drahthaar, followed by the GSP and the Small Munsterlander. Of course there are other pointing breeds in Germany and even a German club for the French pointing breeds. But the numbers are miniscule. Last year a grand total of 23 Bretons (Brittanies) were registered there. Curiously, the most popular non-native pointing breed in Germany is the Irish setter, with about 350 registrations per year each year. The English Setter which was fairly popular in Germany in the later half of the 19th century is now barely on the radar averaging a mere 75 registrations per year. So what is the solution? What does the future hold for vulnerable pointing breeds? How can the French (and English) promote, improve and ultimately save them? To find out, tune in next week as I explore a number of challenges and opportunities in Requiem for our Breeds Part 2. Extrait film sur les braques. Auteur réalisateur C.Iordanoff.